Nino Blankenship: It's a trap! ...but I still have an affinity for the throne. With both Sylvia and I taking turns at the set, at least one of my goals for this project has been achieved: participating in a group in which a drummer's perspective is not only appreciated, but actually critical to the underpinnings of the band! Keith Moon. The one member of The Who least grounded by reality, but most driven by instinct. Maybe fills every two measures represents a rather excessive, showy approach to drums, maybe it does. Maybe it also happens to be, at the heart, what I'd like to do every once in a while: drumming at its most unfettered. Oh, Genesis's Phil Collins. More known these days for sappy soundtrack songs that beat out Aimee Mann at the Grammys, the king of mainstream 80s music mixed decent chops with tastefulness and groove, along with his well-known introduction (with an assist by Peter Gabriel) of the noise-gated drum sound that dominated the era. The opening to "Behind the Lines" (off of 1980's Duke) exemplifies Phil's ability to naturally stay aligned with unusual transitions and time signatures, while the massive radio hit of 1983, "That's All," speaks to his skill at finding the heart of a groove and sticking with it throughout. 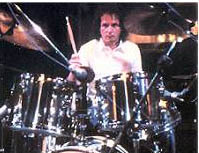 Way more obscure than the above two, but still part of a major recording group - Dennis Bryon, who played with the Bee Gees from 1975-1980 during their most successful period. Everyone's heard "Stayin' Alive" (a drumloop based on his work on Night Fever) but his two most defining moments in the pocket have to be "You Stepped Into My Life" (from the 1976 Children of the World album) and "Love You Inside Out" (from 1979's Spirits Having Flown). Absolutely on point with both tracks! A little bit looser in approach, but nonetheless still very tasteful, is Billy Joel's former drummer Liberty DeVitto, who played on every studio album from Turnstiles to River of Dreams. 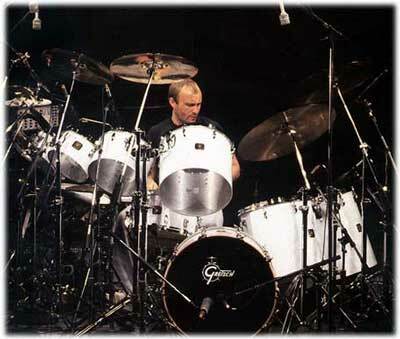 Big snare sound, a slight behind-the-beat tendency, and a love of fast end-of-section tom fills (i.e. "Pressure") really contributed to the distinctive arrangements Billy had during his peak. In comparison, I saw Billy live in 2008 - with his current drummer at the kit - and could tell the difference. Liberty's snare always managed to impart a bit of personality into the proceedings; his replacement on the other hand continues to sound as anonymous as ever, and it makes the experience less engaging as a whole. Soundgarden's Matt Cameron to me represents the most talented and accomplished percussionist of the grunge era - even if I want to forget his work with Chad Kroeger as much as possible! But "Black Hole Sun," "Fell On Black Days," "My Wave" - all a mixture of technical ease (especially when time signatures got strange) and a compellingly dark, foreboding tone from his equipment. Even the last Soundgarden album, Down on the Upside, recorded while the band was falling apart...still provides plenty of evidence that Matt had not lost his sense of feel.